This quality double breasted waistcoat is made in England from the finest Irish Linen. 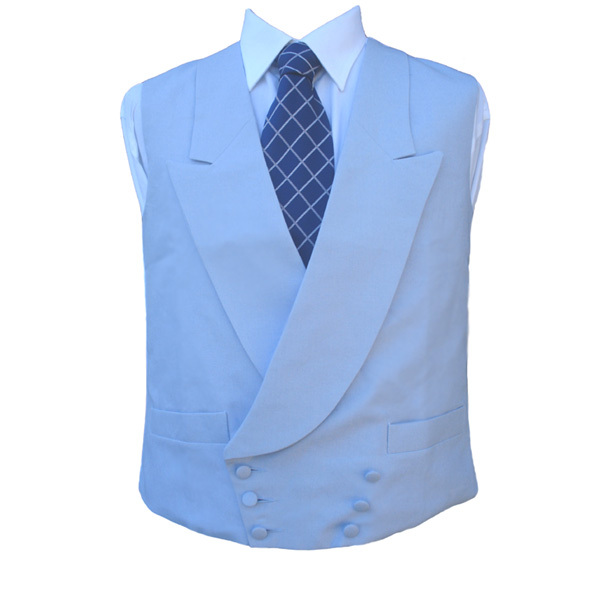 Suitable for wearing at Weddings and Royal Ascot, this powder blue coloured 6 button double breasted waistcoat offers a very smart, classic look for the summer season. The lining is a smooth satin material with adjusting strap at the back to allow the waistcoat to be brought in if required. The blue waistcoat is exactly what I was looking for. In fac ..